Hosted in the reclaimed building of Bucharest's old cotton production factory, Mater is a one-of-a-kind multidisciplinary space. Starting with the Materials Library that showcases more than 3,000 materials and fabrics, all the way to its colorful co-working spaces, meeting rooms, and studios, Mater is the perfect environment for collaboration, play, and creativity. Mater is the first, and currently the only materials library in Romania and in South Eastern Europe. The project was developed by Nod Makerspace, as part of their 1400 sqm of workspace ecosystem that spans across two floors, includes various workshops and more than 20 studios, and welcomes 120 members and 40 start-ups. 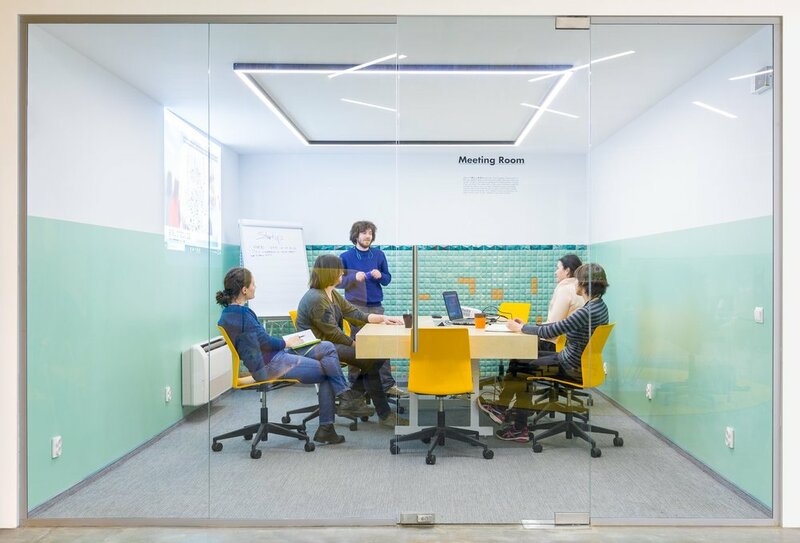 Nod Makerspace has been voted the best co-working and maker space in Romania by European Startup Awards, for the past two years. Join us! Register here for 1.5 days of training, networking, and fun!